I have fought with the devoted backing of these people. Though them only, have I been able to bestow gifts. Through their help, I have escaped harm. Have enriched my heart and home. Through their help in battles, I have slain the enemies. I was born to serve them; through them I reach eminence. What would I have been without their kind and ready help? There are millions of insignificant people like me. I am not inclined to serve others of higher castes. Charity will bear fruit in this and the next world. All other sacrifices and charity are profitless. All I possess or carry, I dedicate to these people. Dasam Granth, Guru Gobind Singh, Sabad, 2,3,p.716. 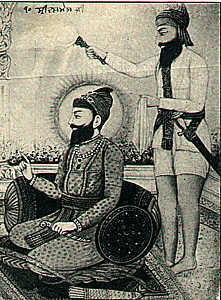 Guru Gobind Singh Ji Maharaaj wrote this unique "Song of the people" glorifying their innate strength and power nearly sixty years before Rousseau wrote his "social contract" and about 150 years before Karl Marx formulated his "Manifesto".It shows his great conviction and faith in the innate strength and democratic Will of the morally awakened masses. 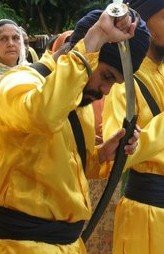 can you plz tell me how to post in punjabi on a blog. i want to post some of my poems on my blog. plz help me .